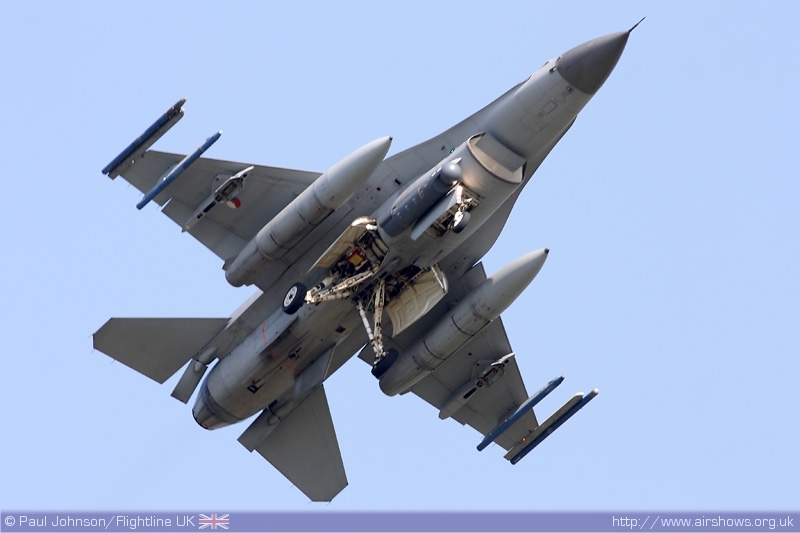 The town of Volkel near Uden in the Netherlands is famous amongst in the aviation community as the home for one of the Netherlands largest fighter stations. 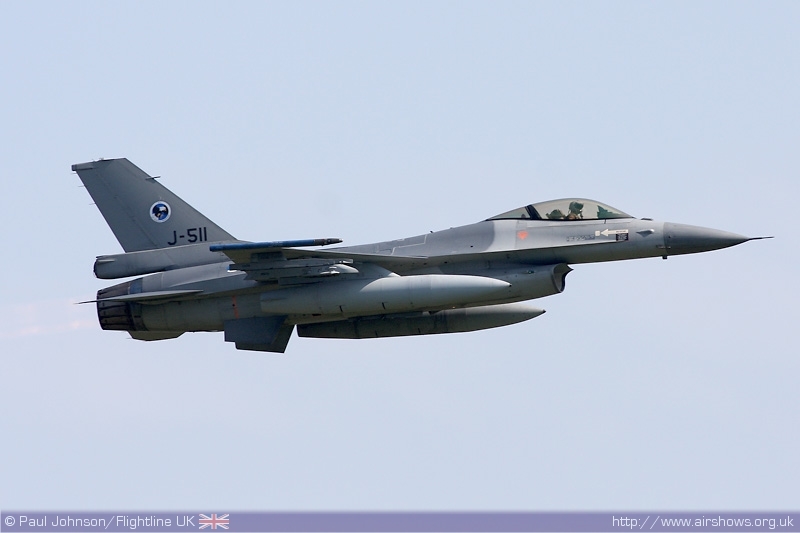 Later this year, Volkel Air Base will host the annual "Open Dagen," the Royal Netherlands Air Force's main airshow of the year and one of the largest in Europe. This show is held at a different base each year. 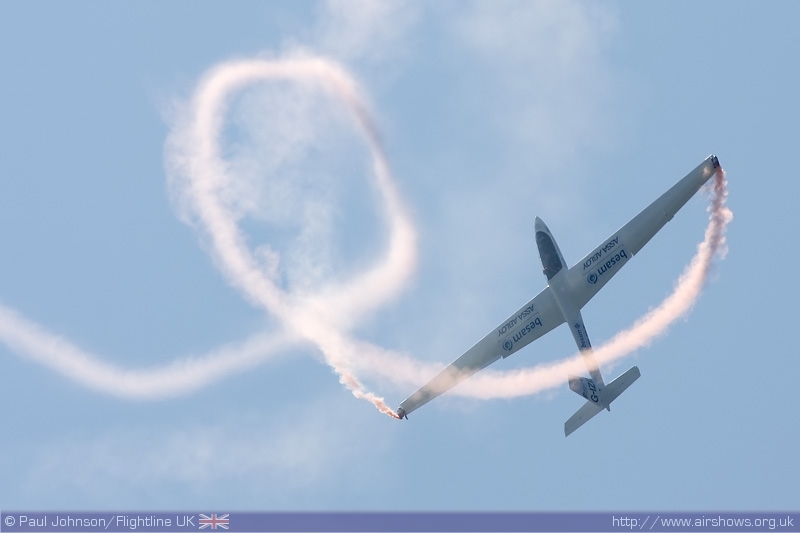 However, Volkel is also home to another major airshow which forms part of the annual "Volkel in de Wolken" (Volkel in the Clouds) Festival. 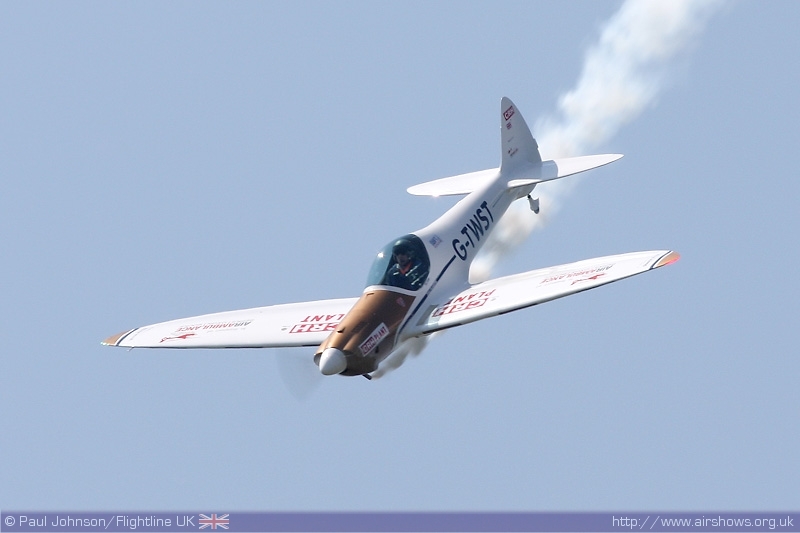 Paul Johnson/Flightline UK reports from across the Channel. Photography copyright of the Author. Airshows are just as varied as the acts that support them, Volkel in de Wolken is perhaps one of the most unique shows I have ever visited. 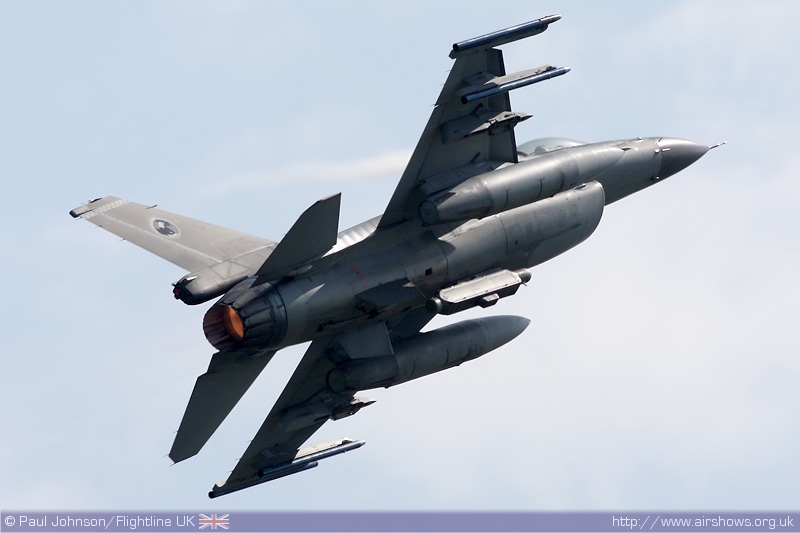 Volkel has a strong link with aviation thanks to the Air Base on the outskirts of the town. 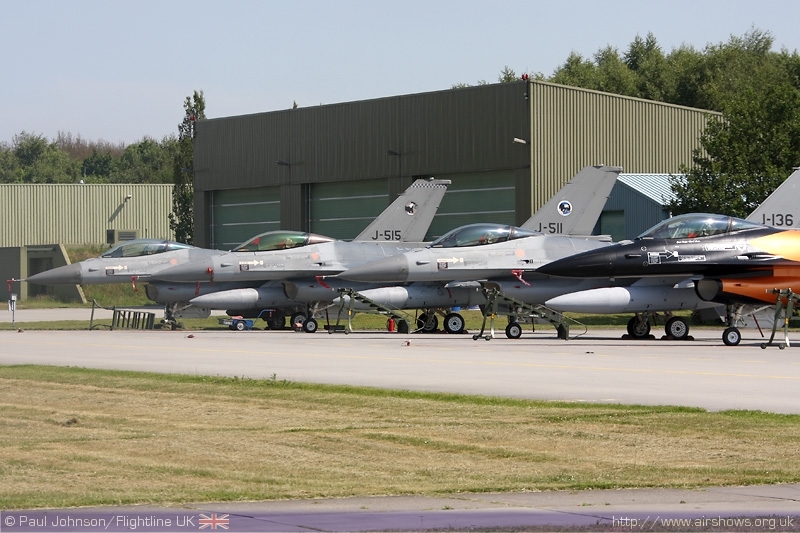 This base is home to part of the Royal Netherlands Air Force's F-16 force (three squadrons), a maintenance and logistics base as well as part of the 703rd Munitions Support Squadron of the United States Air Force. However, the show itself took place about a half mile from the airfield over some crop fields on the edge of the town. 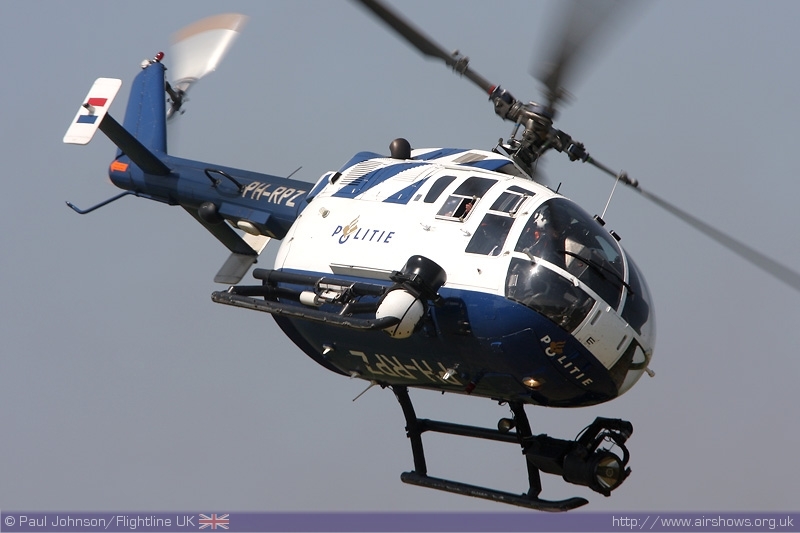 The event itself was very much a large town fete with all sorts of attractions including a street market, ground shows as well as a couple of static helicopters, a Bo-105 Bolkow from the Dutch Police and a EC-135 Air Ambulence which is based at Volkel Air Base. The crowds could also take to the air themselves with helicopter and Antonov An-2 pleasure flights, the latter operating from the air base. Of all the event I'vs attended over the years, it was one of the most relaxed despite what was a fairly large crowd - interestingly there were no large windbreak encampments perhaps due to a 5ft high heras fencing along the display line. 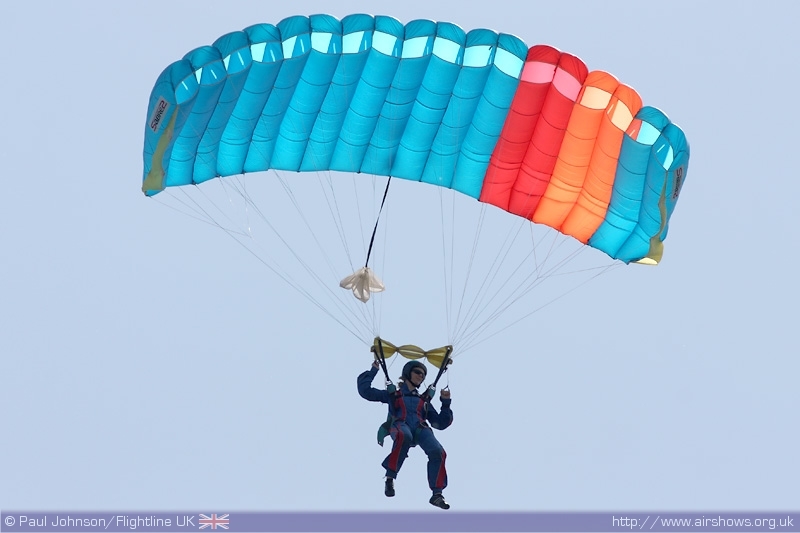 The flying display itself got underway at lunch time with the first of many parachute jumps that took place during the afternoon. A number of different clubs were taking part - clearly a popular sport in the Netherlands! 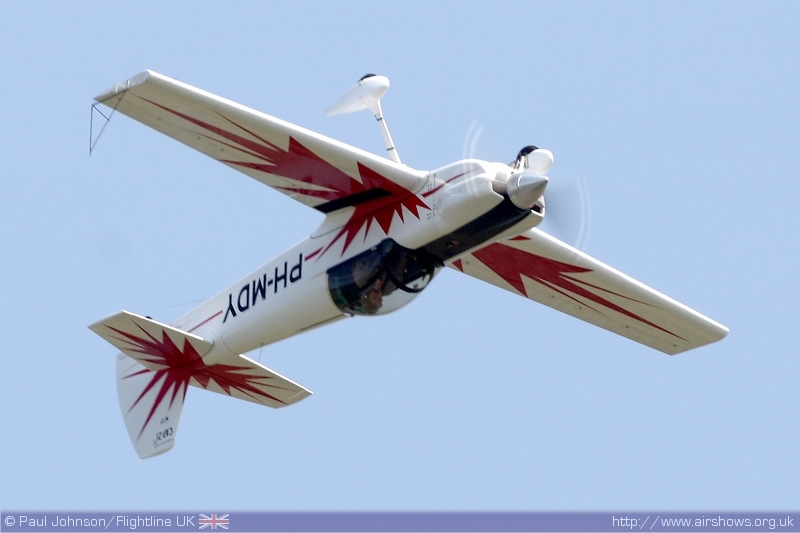 The first flying display of the afternoon was given by a Robin 2160. 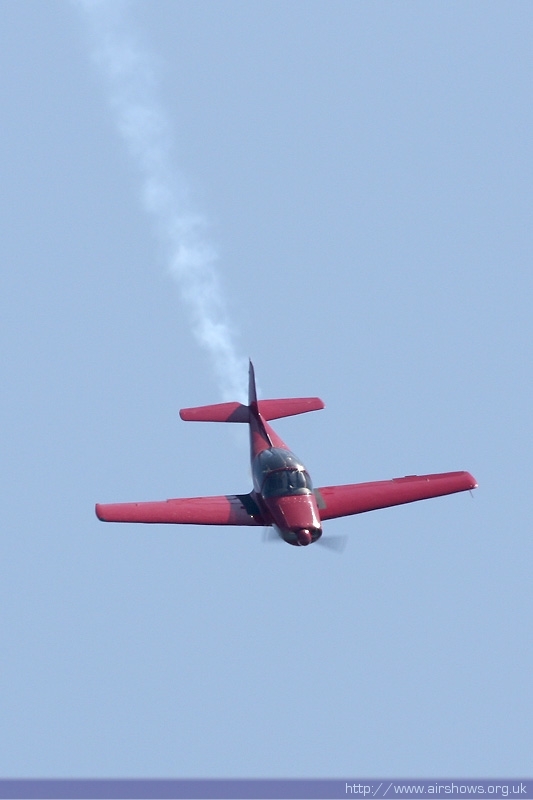 Despite it's appearance, the Robin gave a fully aerobatic displays, though the lack of an inverted fuel system did make the display that much more dramatic as the engine coughed and spluttered! The Robin was just one of quite a few General Aviation type acts participating at the show. 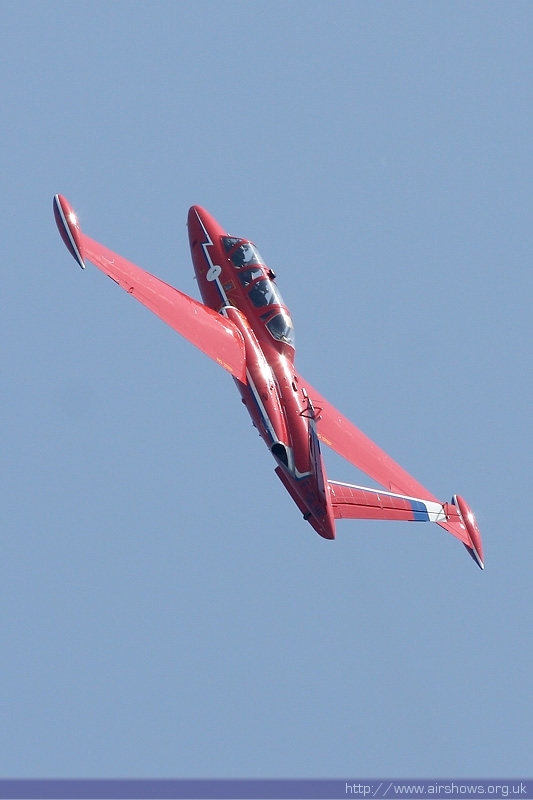 Another was a bright red Falco 8L which is an american kit aircraft based on an italian design. 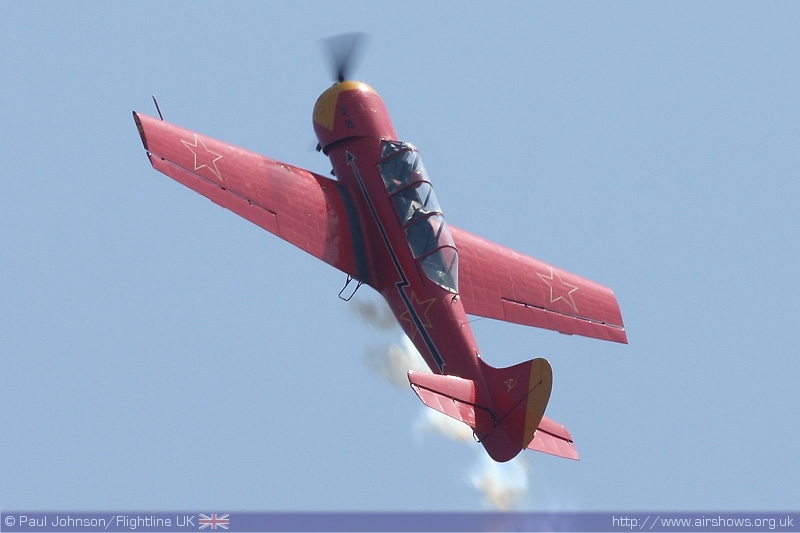 Also wearing distictive bright red colours was a solo Yakovlev Yak-52 which put on a typically spirited routine. Another surprising display came from a SAAB 91D Safir. Looking at the Safir on the ground you wouldn't really think it was capable of aerobatics, but once in the air it can loop and roll very well - not bad for a four seater tourer and training aircraft! 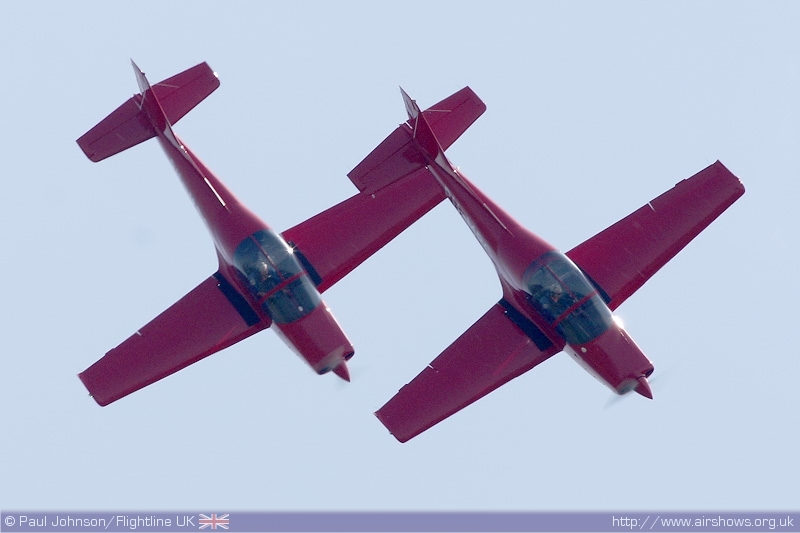 Looking very similar to the Falco, but a much larger design were the SIAI MArchetti SF260s of Red Senstation. 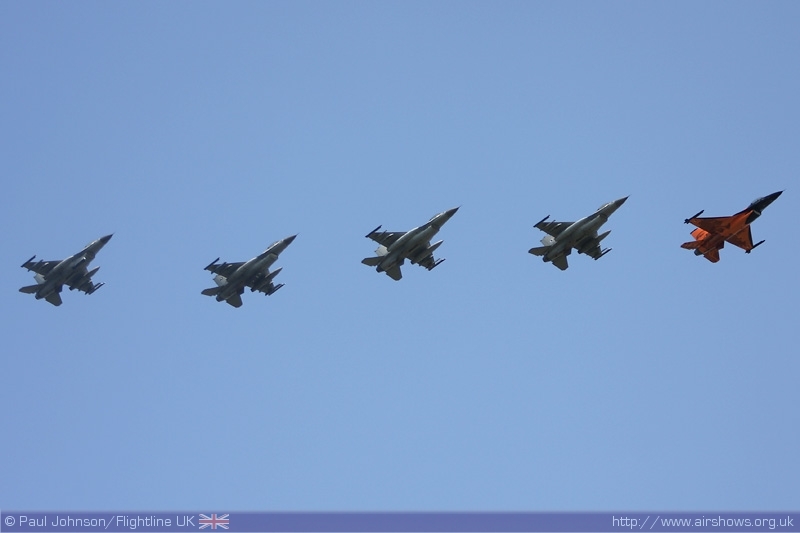 The team put on a very tight pairs formation display later in the afternoon. The SF260 was designed as a military trainer, but more are finding their way into civilian hands. The aircraft of Red Sensation look very different as they have had the wing tip fuel tanks removed. 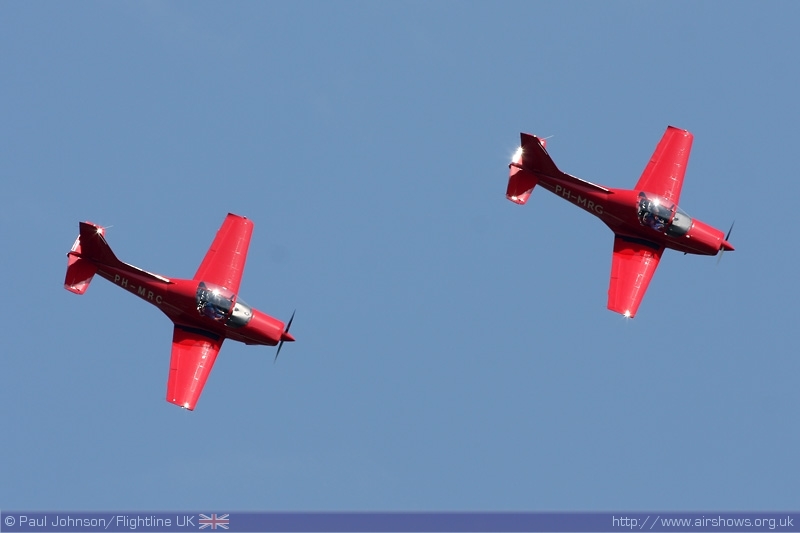 Red is clearly a popular colour for display aircraft in Europe, as there was a further pair of red aerobatic aircraft, this time the pair of Pitts S-2B Specials flown by Split Image. 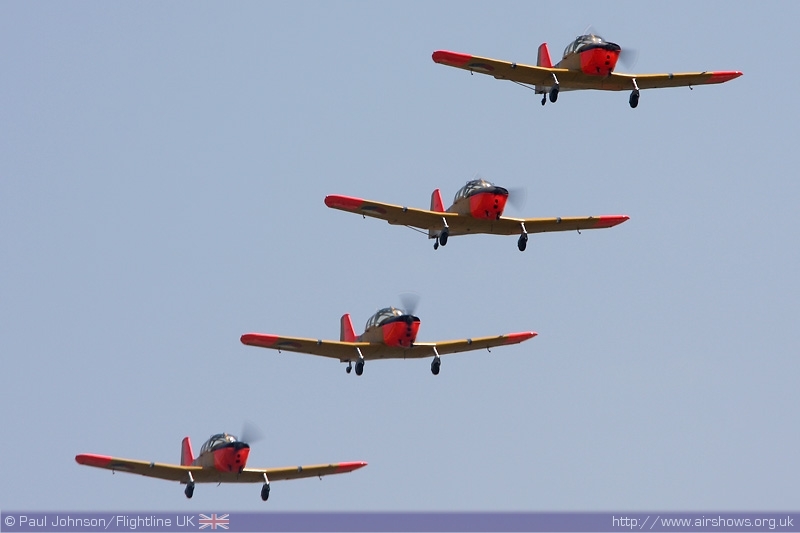 This german team flew another pleasing formation display and are regularly seen at venues across the continent. 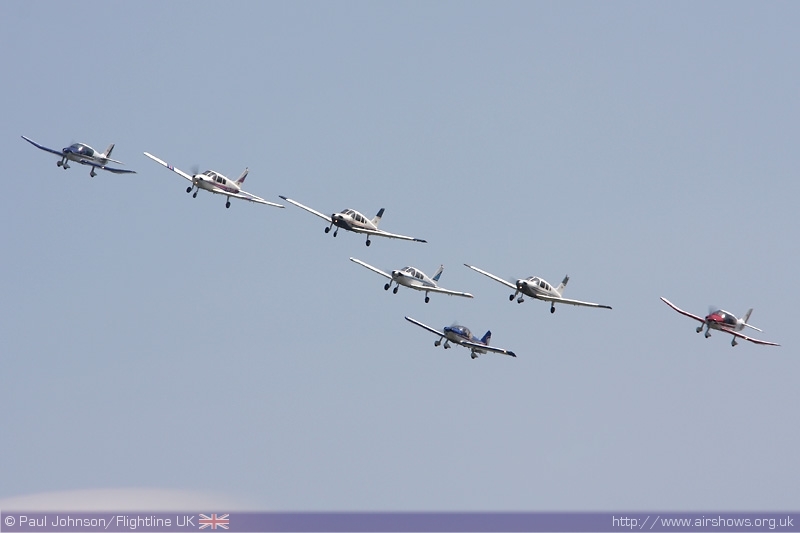 The biggest formation of the day had to be that flown by the Victor Romeo Team. This was a formation of common "GA" types. 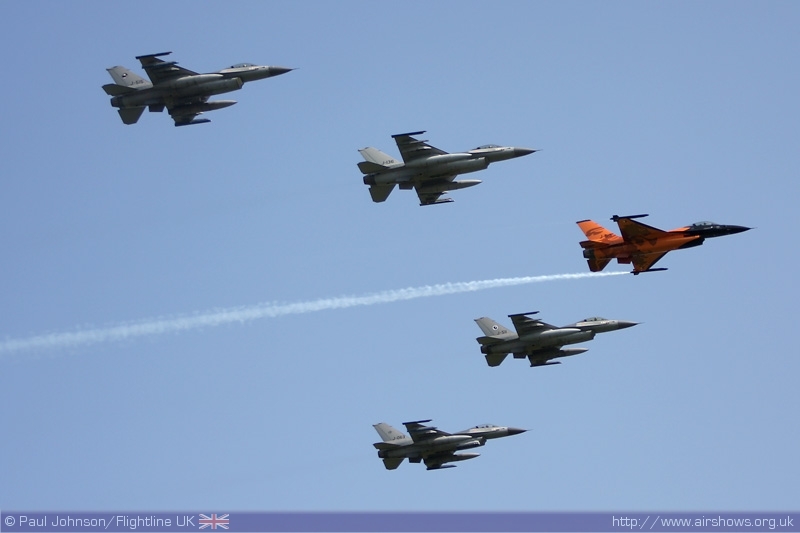 With a formation of seven differing types, it was an impressive sight and feat of airman ship keeping together. 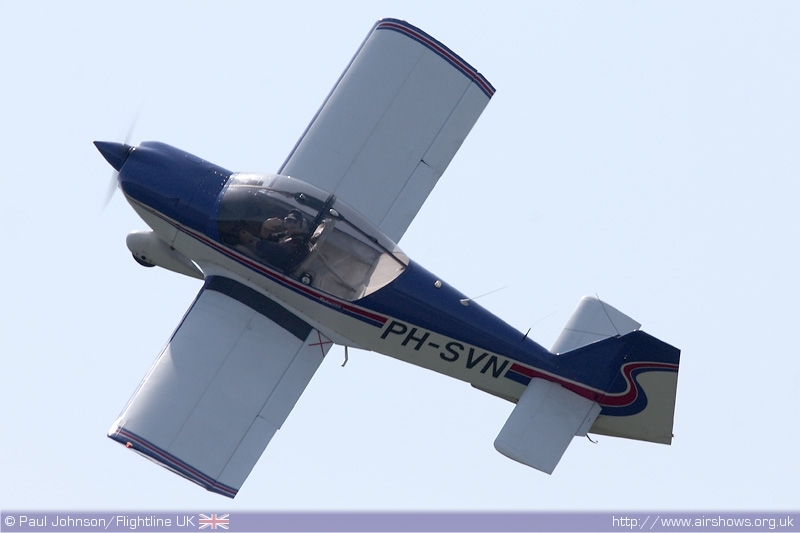 Making the trip over from the UK were the Swift Aerobatic Display Team making their dutch debut with their PA25 Pawnee, SA180 Twister and S-1 Swift Glider. The team aerotowed all the way from their base at RAF Halton for the show before heading back to the UK and the Southend Airshow. 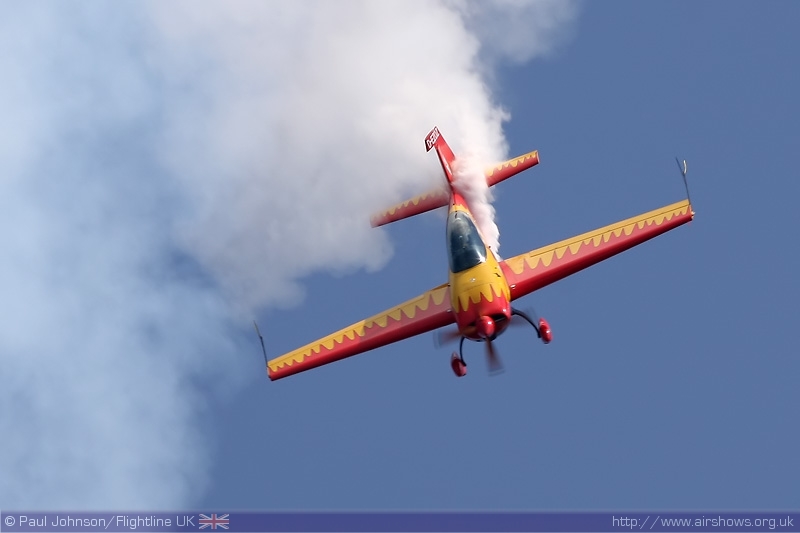 With the display site being away from the airfield, the crowd were denied seeing much of the impressive low level aerobatics as Guy Westgate had to conserve some energy to make it over the threshold of the runway at Volkel. 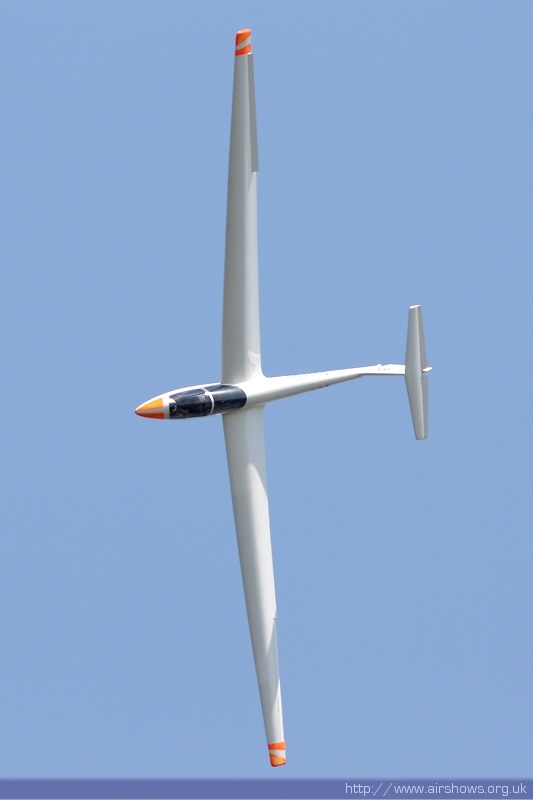 Also displaying later in the afternoon was a local ASK-21 Glider from the the local gliding club. It was a fairly impressive display, though could perhaps of done with some smoke in the hazy skies as it was easy to lose facing into the sun. 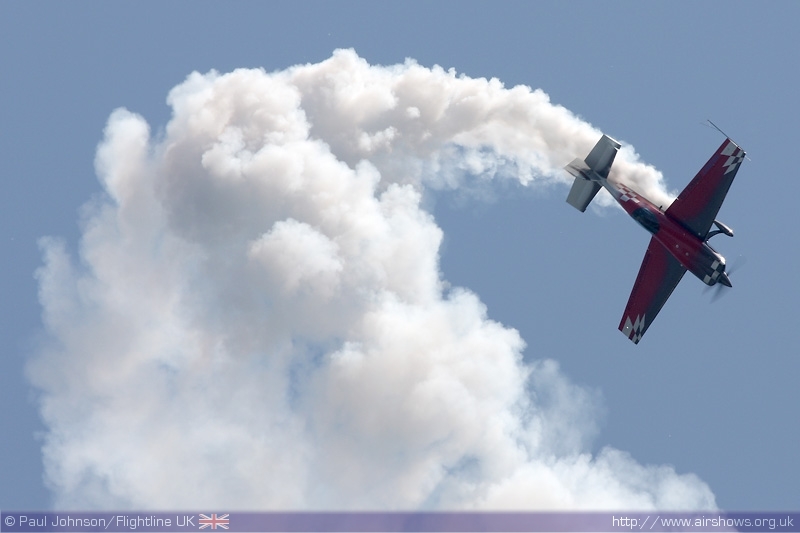 Also from the UK was Mark Jefferies in his new Extra 330SC. The 330SC is lighter, more powerful aircraft than the normal Extra 300 and is capable of hovering and some extreme gyroscopic displays. 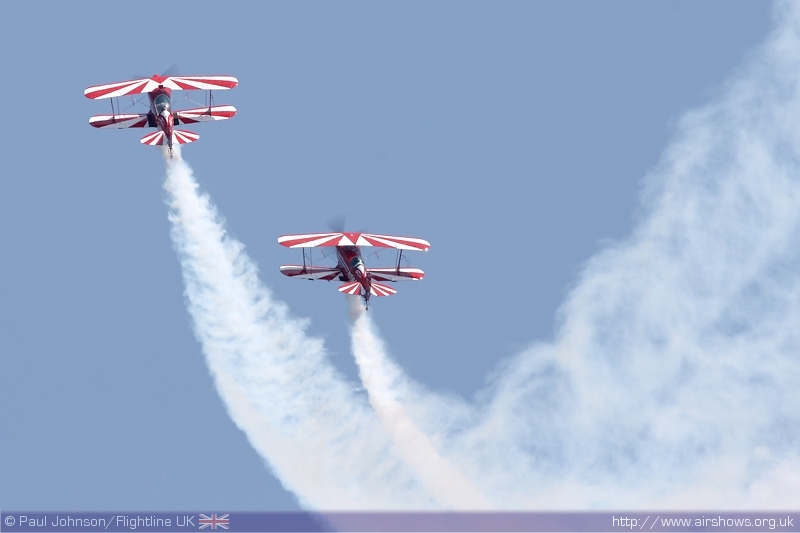 Mark's aircraft also has a very good smoke system which makes for a truly spectacular display. Locally based solo aerobatics came from a rare CAP-21 and the famous Frank Versteegh in his (very) bright yellow Extra 300L. 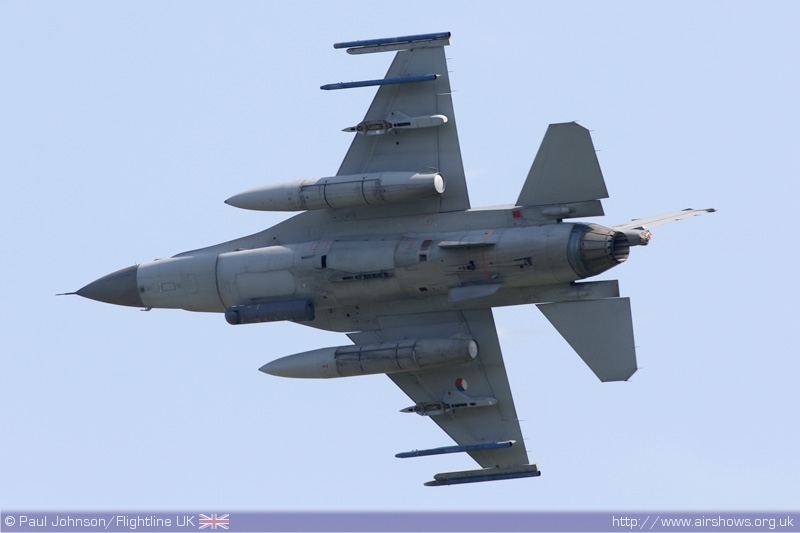 The CAP-21 is a single seat development of the CAP-10 with a brand new wing and undercarriage. 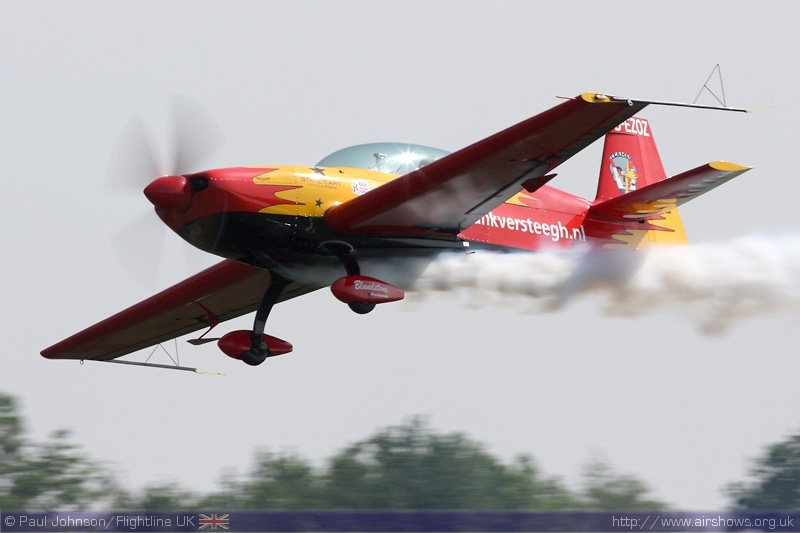 The type is further developed into the CAP-231/232 that is now a popular competition aerobatics aircraft. 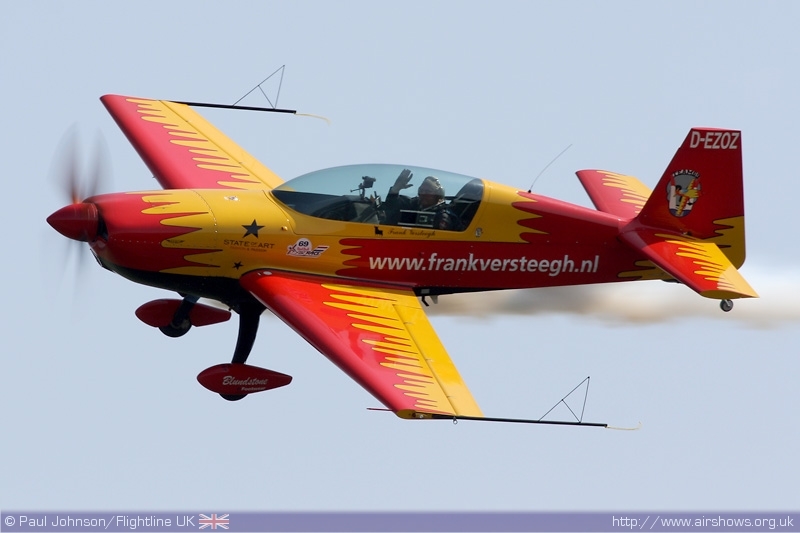 Frank Versteegh, a former Red Bull Air Race pilot, is a very famous aerobatic display pilot in Holland and beyond. 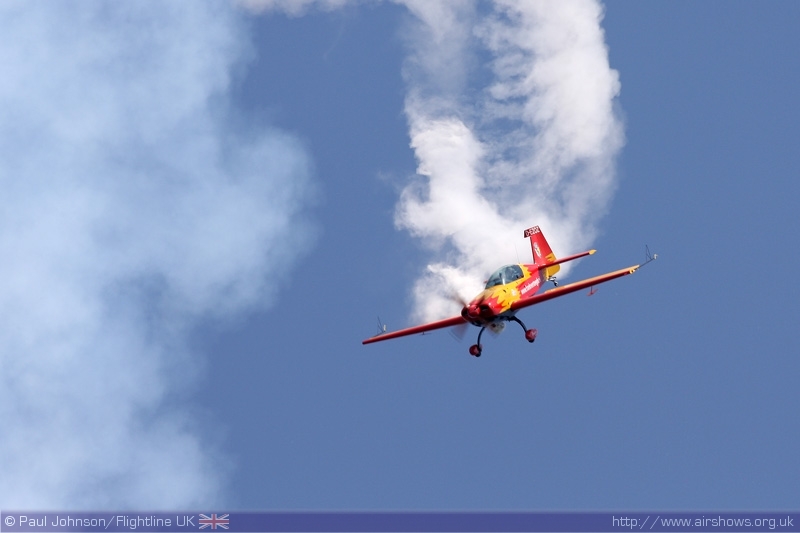 Rather than performing a purely aerobatic suquence, his display was much more of a show in itself mixing some low dramatic passes with some impossible tumbles and stall mixed in with an "interesting" choice of music!! 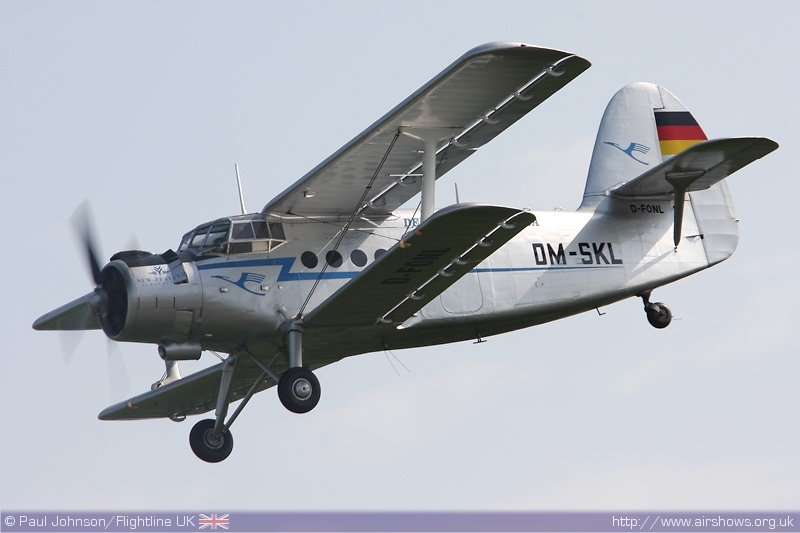 In complete contrast to all the lighter aircraft was the Antonov An-2 of Classic Wings which had been had been giving pleasure flights all day before it displayed towards the end of the flying display. In it's bare metal finish, it gave a fine performance of it's agility and slow speed handling. As well as all the civilian acts, there was a healthy selection of historic military types. 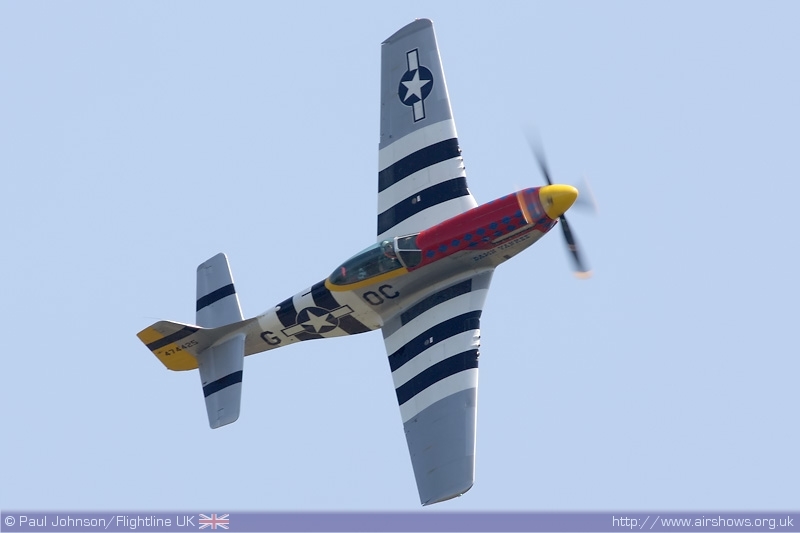 The only "warbird" in the flying display was the P-51D Mustang Damn Yankee from the Stitching Dutch Mustang Flight based at Lelystad Airport. Currently registered PH-PSI, this particular Mustang has been seen in the UK before, though only rarely. It's display was perhaps a little sedate by UK standards, but it was presented well for the cameras with a number of topside passes. 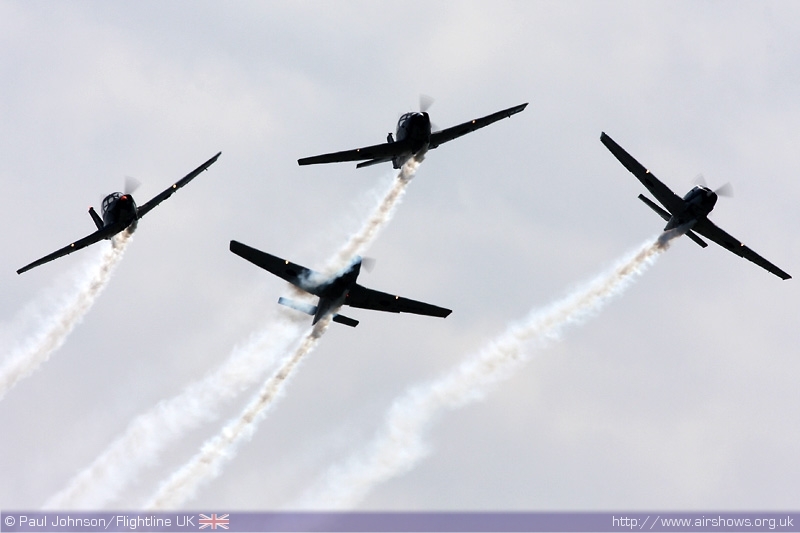 There were two displays of ex military training aircraft, but both based in Holland. First of these was the Fokker Four, a formation of four Ex Dutch military Fokker S11 Instructors. 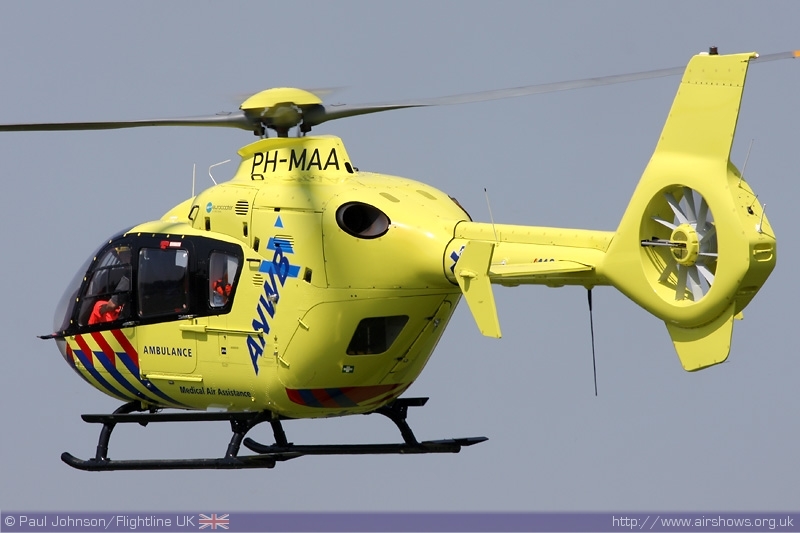 In bright yellow Dutch training colours, these slight ungainly looking aircraft put on an impressive display uncluding some gentle aerobatics. Joining them were the Seagull Formation. Based on the less aerobatic Piaggio/Focke Wulf PFw.149D the team's aircraft all wear their former German markings which are much darker that those of the Fokkers, but give the aircraft an extra presence. 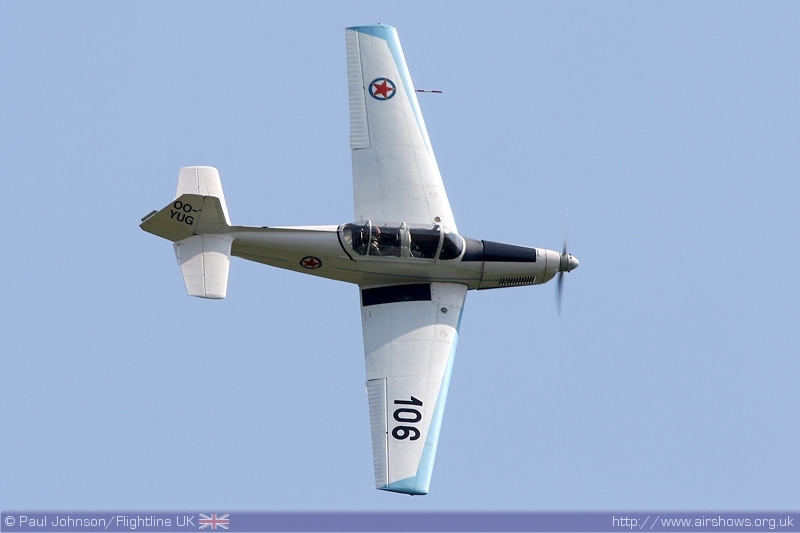 Another light aerobatic trainer wearing unusual military markings was a Zlin 526 in the colours of the Yugoslav Air Force. 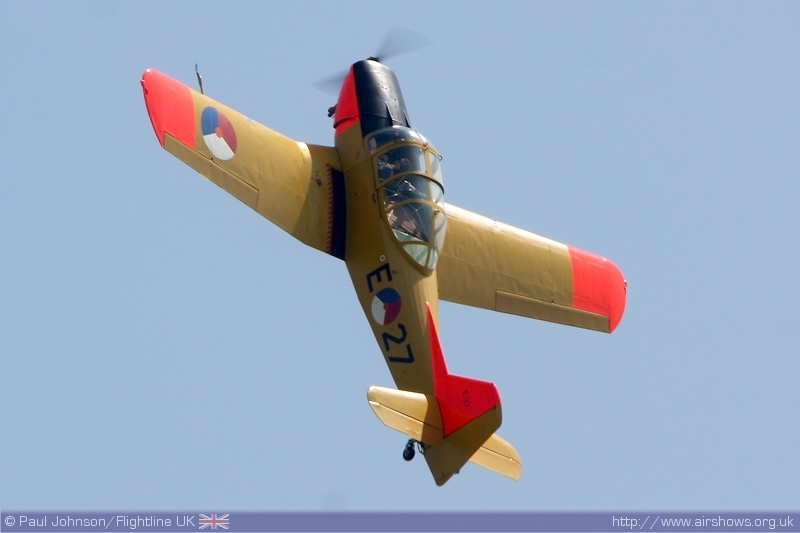 The Zlin is an aircraft that has all but dissappeared from the display circuit with the advent of the Extra and Sukhoi series of aircraft. 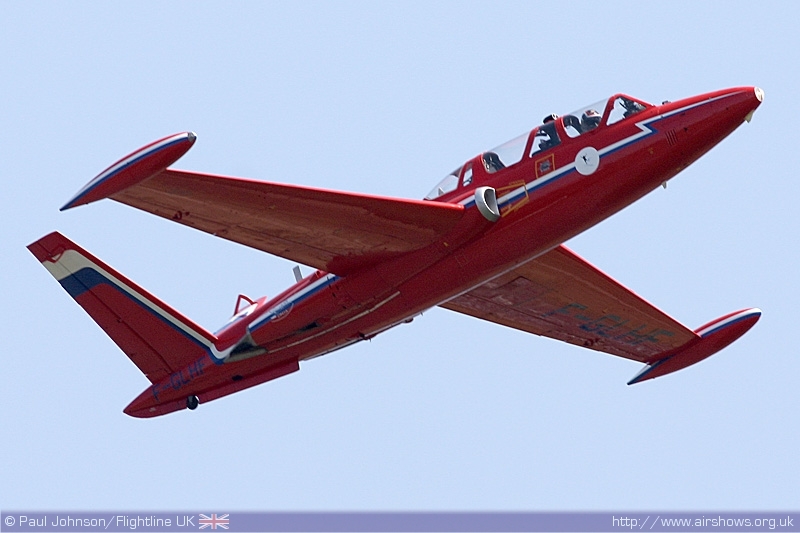 The only classic jet of the afternoon was the Fouga Magister of Dutch Historic Jets based at Lelystad. It's been a couple of years sice the Belgians finally retired the last of their Magisters so to see one back on the display circuit was excellent. The display itself was very elegant highlighting the glider-like qualities of this iconic jet. 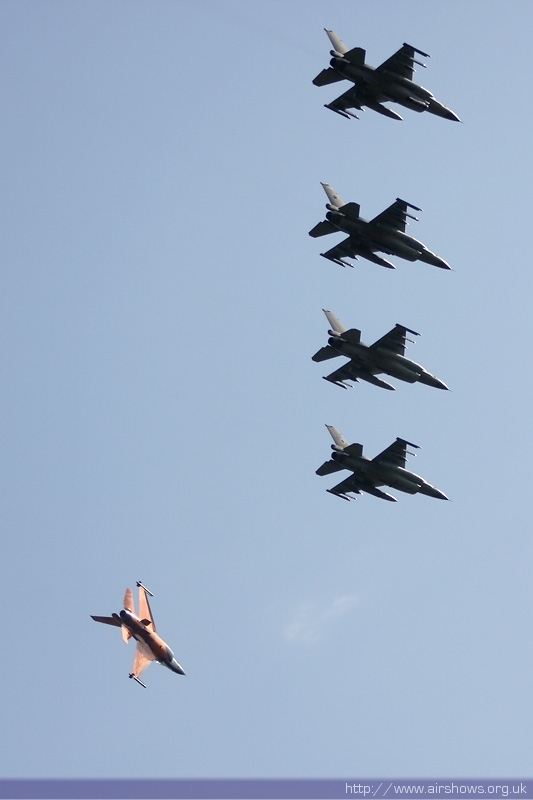 The finale of the day were the five F-16AM Fighting Falcons from the Volkel based squadrons. 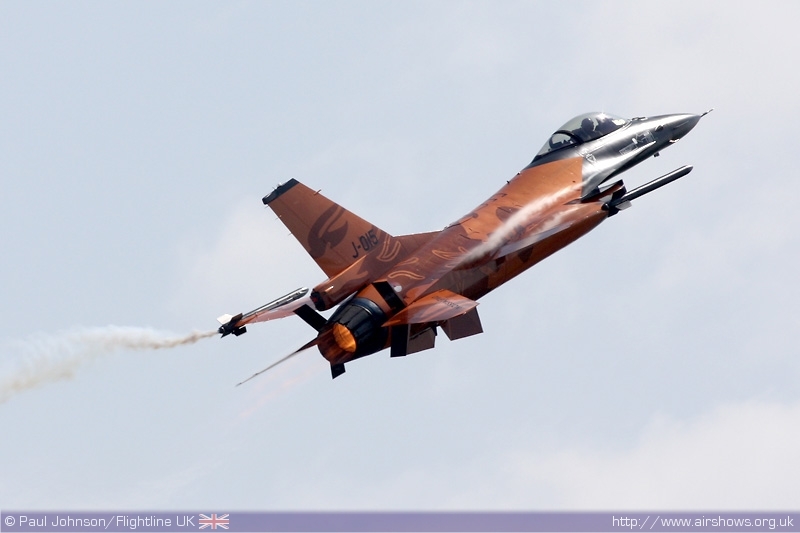 It had been hoped to include the solo F-16 display, but display pilot Ralph Aarts had broken his foot at the end of his display training so was unable to take part. 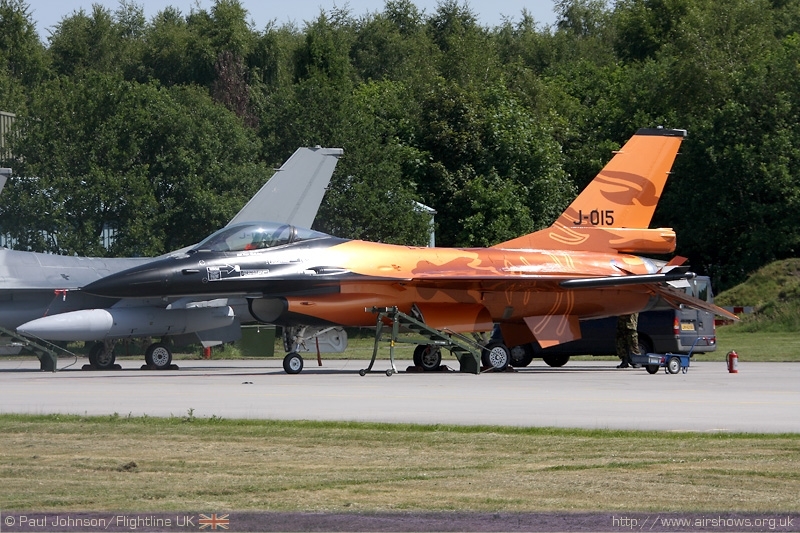 However, the new orange demo jet did part alongside four more normal F-16s. The aircraft first appeared making very noisey solo flypasts in opposing directions before dissappearing over the Dutch countryside. Right at the end of the display they appeared back in formation making a pass right over the airbase (which was holding it's own private event) before making a number more down the crowdline at Volkel to end the display. Volkel in de Wolken has a unique charm to it. The relaxed and friendly atmosphere, unique location and some great flying made it a very pleasurable day out in Holland. The flying display itself was very different to anything seen in the UK with some very unique acts. Thanks to Hans Van de Werf and Mike Newman for amking this report possible.